The Danish parliament today passed a law banning the Islamic full-face veil in public spaces, becoming the most recent European country to do so. According to SBS News, the government says that it is not aimed at any religions and does not ban headscarves, turbans or the traditional Jewish skull cap. The new law says: “Anyone who wears a garment that hides the face in public will be punished with a fine.” And it was passed after 75 votes against 30. Justice Minister Soeren Pape Poulsen said that it will be up to police officers to use their ‘common sense’ when they see people violating the law that will be put into practice on August 1. The law allows people to cover their face when there is a ‘recognisable purpose’ like cold weather or complying with other legal requirements, such as using motorcycle helmets under Danish traffic rules. First-time offenders risk a fine of 1,000 kroner (£117/$156). Repeat offences could trigger fines of up to 10,000 kroner (£1178/$1571) or a jail sentence of up to six months. Anyone forcing a person to wear garments that are seen to be breaking the law by using force or threats can be fined or face up to two years in prison. 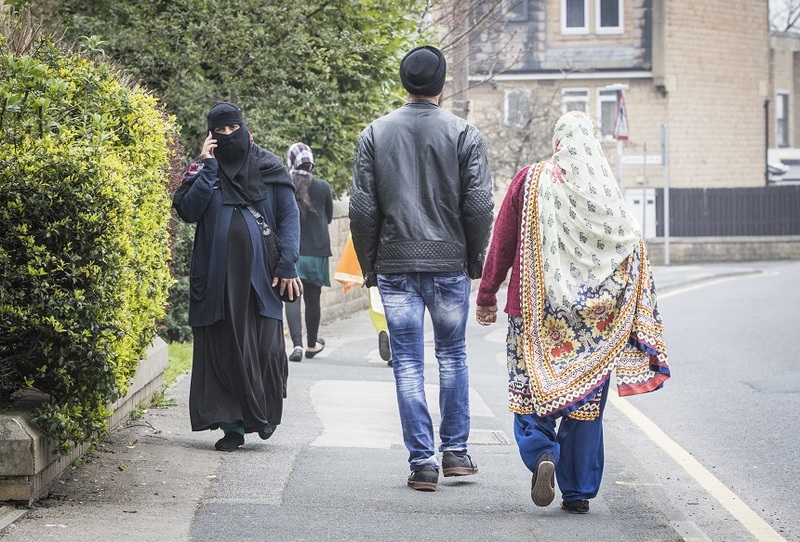 According to the Guardian, it is not known how many women wear the niqab and burqa in Denmark. The Telegraph reports that France was the first European country to ban the burqa in public. It started in 2004, with a clampdown on students in state-run schools displaying any form of religious symbol. But in April 2011, the government went further by bringing in a total public ban on full-face veils. President Nicolas Sarkozy said they were ‘not welcome’ in France. Women can be subjected to 150 euro (£131/$174) fines and instructions in citizenship for breaking the ban. Anyone who forces a woman to cover her face risks a 30,000 euro(£26,310/$35,103) fine.